Travel back a few decades and enjoy the funky feel of this 80's themed slots game. 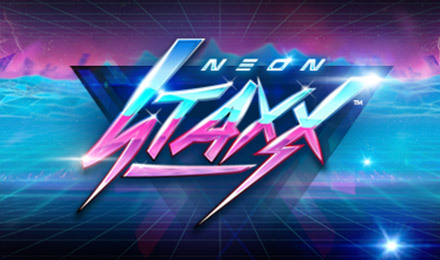 Get back in the groove of things and feel the beat of the synthesizer while you spin to win in Neon Staxx! You'll be back in the 80's with all the cool funky details that go along with it! Neon Staxx is a super cool throwback slots game that boasts bright neon colours and funky synthesizer music as you play! Spin to win and work to activate the Free Spins, scatters, and wilds. You'll have a throwback time with Neon Staxx slots!